The Cornelius Table Lamp by Heathfield & Co is skillfully mold blown to create its' striking form. An intricate, crackled fnish ensures each lamp is unique. 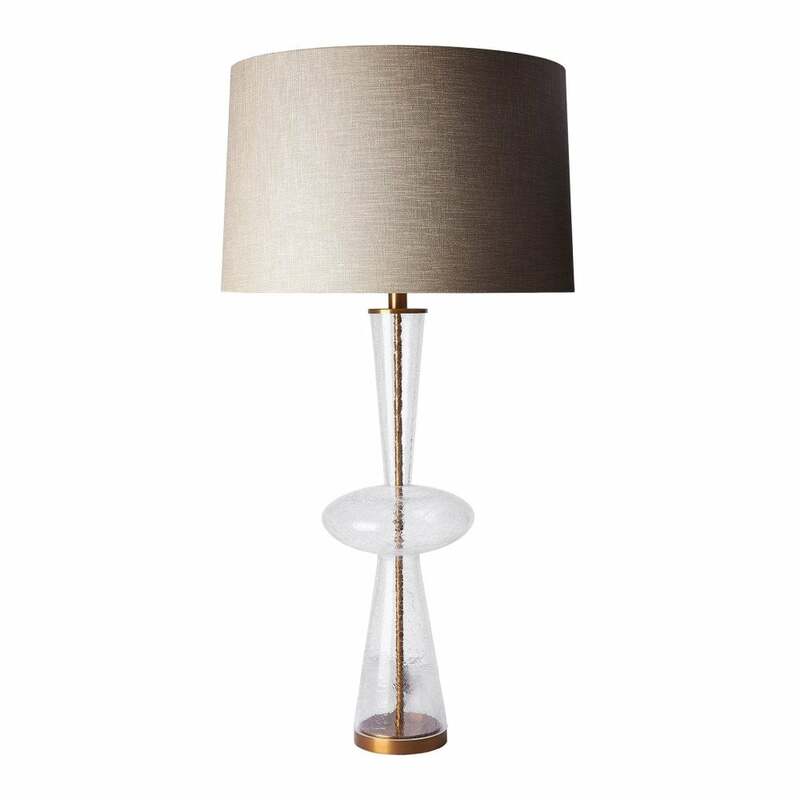 Available in clear or smoke glass, the hourglass shape is complemented by antique brass detailing. This timeless design will make an elegant addition to a hallway or dining room. Shown here with an oyster glaze linen shade, make an enquiry for more luxury material and colour options.